The holidays are just around the corner, and what does that mean for the Masonic world? Potlucks as far as the eye can see. I know T’s Lodge is kicking off the holiday season with a Veteran’s Day potluck, followed by a few more later in the month. Potlucks can often be tricky for those of us that are younger in the Masonic community. On the one hand, we don’t have the time to spend that all of the retired folks do (I know one lovely lady that hand makes 3D decorations for Christmas cookies every year! ), but just buying a bag of chips from the store on your way to the Lodge might make you feel like you barely did anything at all. Have no fear! These recipes will have everyone thinking you called into work the day before, just so you could make something awesome for the potluck; in reality, anyone can find time to make these simple but delicious dishes. Call me crazy, but I think cold weather is the best time to grill. Doesn’t take much effort, gets you in front of a fire, and your meat is cooked nice and fast. You can’t fake that nice grill char anywhere else. Also, wings are super simple. If you haven’t made buffalo wings at home before, I highly recommend it. Grill ‘em, then toss in sauce. Done and yum. Prepare grill for medium heat. 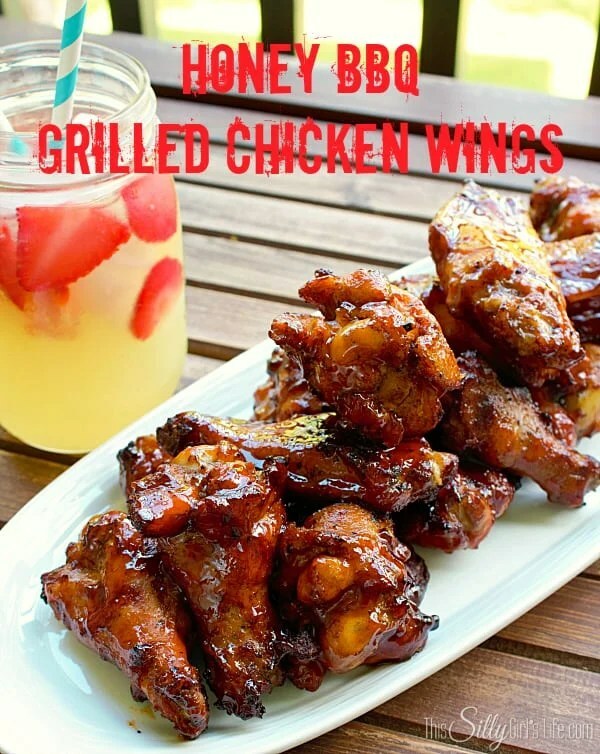 Grill wings, turning occasionally until golden brown and crisp, about 15-20 minutes. Add ingredients to pot on stove top and whisk to combine. Bring to boil reduce to simmer. Simmer for 5 minutes. Take off heat and let come to room temperature. Use as a dipping sauce or to baste on meat. Store in airtight container in fridge, or toss wings immediately. help it, you will save yourself a ton of time. 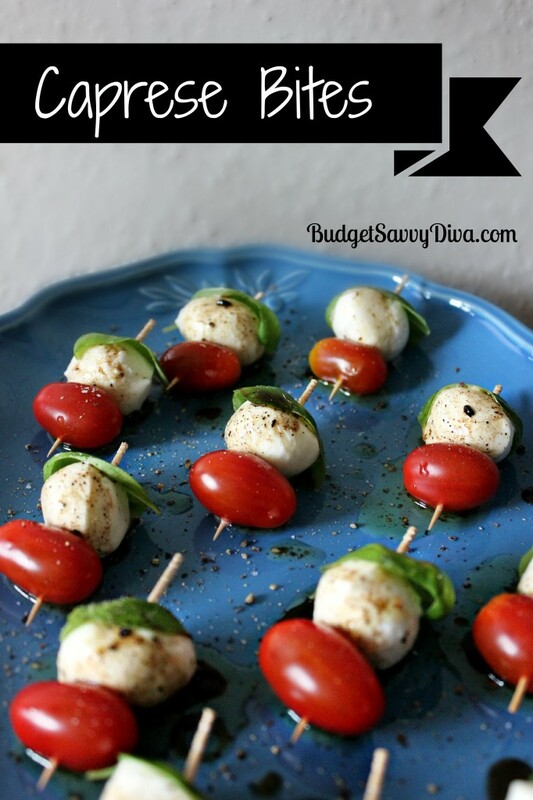 Second, not everyone is as big of a fan of balsamic vinegar as I am, so you may want to have it on the side instead of drizzling on top of the kabobs, especially if you are expecting children to attend. Also a nice, light dish, since many items at Masonic potlucks tend to be heavy. In a small bowl, combine oil and vinegar, drizzle over bites. Okay, so, you signed up to bring a meat dish to the potluck, but now you realize you have no time. Like, literally just enough to come home from work, change your clothes, and barely make it to Lodge on time. Take it from the Hitchhiker’s Guide, Don’t Panic. Salsa chicken is here to save your day. All you need is a crockpot, and if you don’t have one, now is the time. They are a $20 lifesaver, and you can literally unplug it at home, and take the whole thing with you to Lodge. 4+ boneless chicken breasts- add more if your crockpot allows. Cover and cook on high for 4 hours (or low for 6-8 hours), or until the chicken shreds easily with a fork. 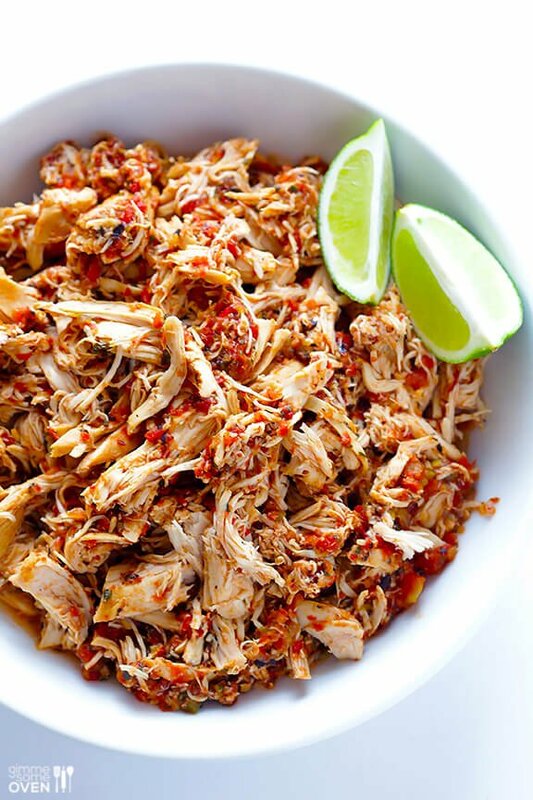 Shred the chicken in the slow cooker and toss with the remaining salsa and juices until well-mixed. So, I’m known in my household for taking desserts a bit too far. I will happily spend hours making dozens of cookies, only to eat one and no more. This is a super simple twist on rice krispie treats that I made last night for our DeMolay potluck this evening. I might have had a small slice for breakfast, and let it be known, this recipe packs a ton of sugary goodness. Grease your Bundt pan. If you don’t have one, any loaf pan or even a 9×13 pan will be just fine. Mix the marshmallow mixture into the popcorn mixture. It will be quite sticky. Move everything into your pan of choice. Place a piece of parchment paper on top to help you smooth the top out. I hope that these recipes can help you bring an awesome dish to your next potluck, Masonic or otherwise. If you have any recipes you would like to share, please feel free. And as always, have a wonderful week! This week’s article is a continuation of last’s, what steps you need to take, and the Lodge/Chapter takes, when you join a Masonic organization. This week, I will be discussing the initiation itself. Please know that no secrets will be given away. I will not be going over any of the finer details. The majority of what is secret, is words, phrases, and handshakes so that members can recognize each other outside of the organization. While I do know a couple of secret handshakes, this mode of member recognition has kind of gone to the wayside since the internet. Also, while I will not be going over them here, you can find the entirety of initations online (as well as opening/closing ritual, iniatations, basically everything but the secrets); I do not recommend reading ritual work, especially initations, before receiving the degree, even if you do not plan on joining right away. There’s something magical about the first degree that you receive, and if you know what’s coming, part of that magic is lost. Alright, so, your petition has been turned in, read, and approved for membership. Now you get to play the waiting game. When you receive the degree will have to be worked into the Lodge/Chapter’s schedule, or they may have to call a special meeting to get it done. Usually, once you receive word that you are approved to receive the degrees, your initation is usually within a month. Please remember that some Lodges/Chapters are “dark” (no meetings) for the summer, so if you apply in late spring, you may not have your initation until early fall. The night of, you will want to dress conservatively, it’s always better to be overdressed when getting initated, since you will be the focal point of the meeting. If you are joining an OES Chapter, I do not recommend wearing heels, as there is a lot of walking; you will want to be in comfortable shoes. This is also true for other Masonic bodies that meet in very large Lodge rooms. You will of course, want to arrive a few minutes early. This is for a few reasons. In many organizations, you may have to wear a cloth or other clothing over what you are wearing. This clothing has symbolic meaning for the degree, or story, you are about to hear. The Lodge/Chapter will open, while you wait outside. This does not take too terribly long (about ten minutes), but does add to the anticipation. When joining a Lodge, they may ask you to stay in a room of reflection, which is usually a plain room, with a chair, and you are alone with your thoughts. They may or may not give you a thinking prompt while you wait. Usually, a member of the organization is tasked with waiting with you, and may explain a bit about what is to happen. Someone will come and get you when it is time. Depending on the organization, you may be blindfolded, or “hoodwinked” before you enter the Lodge room. When joining other organizations, the lights may simply be dimmed. As I said before, I will not (and cannot) go into details, but each Masonic organization follows the same general sequence of events. After being brought into the Lodge room, the Worshipful Master/Worthy Matron/Queen/etc., will ask if you come of your own free will, and sometimes if you believe in a higher power. You may get asked more questions, but your buddy will coach you through this beforehand. Once you are granted access to the Lodge room, you will be lead around to (most) all of the officers, and important points in the room. Eventually, you will end up in front of the altar. This is one of the most important parts of the initation- the obligation. You will be asked to kneel if you are able, and place your hand upon the Bible, or other faith book of your choosing. You will then take a binding oath, that contains a couple of things, both that you swear to do, and not do. It is mostly things like, swearing to not divulge any secrets that you learn during your initation or any other meeting to a non member, that you will help a member in need, etc. The obligation does not include anything that is difficult to do, and really, anything that you probably wouldn’t do anyway. There is an important part, that many people against Masonry choose to ignore; you swear that will not Masonry to insult, jepordize, or have any other negative effect on your religion and family; or break any laws of your state or nation. Some Masons forget this part of the obligation as well, and choose to let Masonry run and eventually ruin their lives, marriages, and familes. The next section is where the degree is actually given, also known as conferred. Each group has their own specifics, but the general concept is the same. The person that led you around the room earlier will lead you again. This time you will be pausing to hear different stories, or different parts of the same story from some officers in the room. These stories are the foundation of Masonry. Do your best to listen to them as closely as you can, but it is unlikely that you will get everything during your degrees. This is a good reason to participate in doing degrees for others; you will remember things that didn’t quite get processed the first time around. OES, Daughters of the Nile, and a few others, tell many stories with a central theme. Groups like Blue Lodge and Scottish Rite, on the other hand, tell one story, that continues on throughout all of the degrees. If you are able, do read the degree work after you have received it, doing so will help you learn more about the building blocks of Masonry. The final step, is to show you the secrets. As I’ve said above, the large majority of these are methods of recognition of members outside of regular group activities. If you are joining Blue Lodge, the majority of these will be given during the Master Mason degree. After that, you will be escorted to a seat on the side of the room, and any business that still needs to be conducted is. The night that I was initated, I actually got to vote right afterwards. After the Lodge/Chapters close, prepare for everyone to come and congradulate you. That evening, or soon after, you will be presented with your copy of the ritual book, and, at least in Blue Lodge and OES, the book of faith you swore your obligation on. 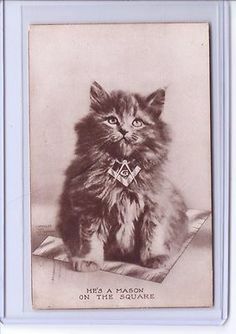 Even kitties want to join Masonic bodies! And really, that’s it. While the core of an initiation is really quite simple, all of the details make it complex. All (most?) Lodges and Chapters require memorization of parts, as an open ritual book is not allowed in an open Lodge/Chapter. These parts can range to a paragraph or two, up to more than ten pages. A lot of work goes into initiating a candidate, although most of it is not done by the candidate. Relish the day that you are initated, as you only get to be on the receiving end once. They are often deep and thought provoking, more so than most people expect. Hopefully these last two weeks have help ease minds, and perhaps even push a few people to join this week. Usually the scariest part is not knowing. If you have any questions about this, or any other Masonic topic, feel free to contact me here, or at themasonslady@gmail.com If not, have a great week! Last week, my Chapter had a Past Matron and Patron dinner, after which we took time to honor those who had held that office, as well as give out a 50 year pin. When the Worthy Matron asked all those who had served as Worthy Matron or Patron to stand, I looked around the room. I was the only one not standing. I am the youngest in my Chapter by about 20 years. There are a few members my age, but I tend to be the only one who is there on a regular basis. My first thought was that I wished that there were more people at least in my generation that were members of my Chapter. My realization was that, at least partially, this is my fault. My 60+ year old Associate Conductress doesn’t know any 20 somethings, nor do any of the other members. Grandchildren are an option, but many member’s families do not live in the area. So, I have decided to take it upon myself to help breathe some new life into my chapter. Right now I am just doing some research, so this post is as much for myself as it is for you. The main issue is that Freemasonry, and most of its affiliated groups, are aging organizations. Many members are 60 years or older, and they do not have a great influx of younger members. I think that this happens for a few reasons. Many youth in youth groups like DeMolay or Rainbow for Girls, are not educated on the groups that help run and support them. Since they are often not, or undereducated, they do not become members of adult groups. This issue tends to extend far beyond the youth groups, and into society overall. Many people, especially young people, do not know that Masonry or OES even exist, or think they are long gone, or a secret society that no one can really join. This is, unfortunetly, something that we did to ourselves. Masonic groups attempted to be so secreative in the 50’s and 60’s, that people forgot any other way ever existed. This results in things like, adult children not knowing that their parent was a Mason or a member until their death. Masonry, at least Blue Lodge Masonry, is forbidden to advertise. This causes numerous problems, espeicially in today’s society of constant information. Many affiliated groups follow suit, except for the Shrine. The Shriners are the best known group of Masonry, because they are the ones that not only advertise, but members openly affiliate themselves in public. Even someone who claims to know nothing about Masonry has heard of a Shiner, or at least know them as “the guys with fezzes and tiny cars”. Unfortunetly, this can often lead to members who want to get through Blue Lodge degrees as quickly as possible so they can join the Shrine. Many Chapters, and a few Grand Lodges have changed their official policies on advertisement in order to attract new members. This seems to be doing well for those who go that route. The other issue is not only attracting new members, but keeping the ones that we have. Member retention has been an issue for many years. Many people will join, go through all of the degrees, and rarely, if ever, show up again. I myself am guilty of this; I recently joined Daughters of the Nile and have not been back; the reason here is another issue, choosing the best time for optimal availability for most members. While my OES Chapter meets at 7:30 pm on aWednesday, Daughters of the Nile in my area meets at noon on a Thursday, yes, noon. People don’t come back for many reasons, often though, it’s because the group turned out to be different than what they expected. Many people join Masonic groups thinking it will be all hooded robes and secret handshakes, and are disappointed when it turns out to be more about paying rent and arguing about where money for building maintenance should be spent next. Education of the older generation can lead to issues as well. Many of our older members think than pancake dinners are the best way to bring in new members, which is often not the case. So, what can we do about these issues? Perhaps one of the biggest problems is that there are so many options out there to help recruit new members, that Chapters and Lodges often get overwhelmed, and much, if anything gets done. It is usually best to start with one or two options, and go from there. Most of the solutions are really quite simple. There’s a ton out there, just do a Google search for “getting new members” or the like. I will share with you a few of my favorites, that I am planning on addressing with my Chapter’s membership committee. Have a membership committee- It sounds like such a simple solution, because it really is. Many smaller chapters do not have a dedicated committee just for membership. It’s really best to have a group of people that come together once a month or so, and come up with ideas for getting new members, as well as implementing them. Come up with fun new meetings to have, interview friends and family, and find out what is stopping them from joining; a lot can be done with this committee. Promote it– As I said above, many Grand Lodges or Chapters may have a “ban” on openly recruiting through advertisement. That doesn’t mean that you can’t let people know you’re out there. I am currently working on my Chapter’s Facebook page to help spread the word. Even something as simple as a flyer left on a college campus or busy business can help. Many local Shrines buy billboard ad placement, but you don’t even need to know that far; your local, non-Masonic community just needs to know that you exisit. Don’t be afraid to stick your neck out, but be sure you won’t have any issues from your Grand Lodge. Make your events with younger members in mind- The majority of Chapter and Lodge new members are those who are younger. That being said, being young often means that your schedule can be hectic. Make your meetings at an attainable time and day, so that as many people as possible can come. (I’m looking at you Sat’ra Temple). Have more events on weekends, or later in the evening. You could also plan alternative meetings, where just minutes are read, and no business is discussed; another option would be to have a more casual meeting in addition to a normal meeting, much like the difference between the 8 a.m. and 11 p.m. church services. Many people in their 20’s and 30’s have children, so be sure to have an option every so often where the whole family can come. Offer a “one time deal” on your dues, and maybe even raise them- This is much more for the Lodges then anything else. My dues for OES are $20 a year, where I know that T’s Lodge is more like $150. When T joined the Shrine, it was because we were at a friendship dinner with a friend, and they were offering half off the first year of dues to anyone who signed up right there. It may also be worth it to look into rasing dues. While no one likes to pay more money, it allows the Masonic body to spend more money on new events. Streamline the sign up process- This one, I am not so sure we can do a ton about, but I always feel like more can be done than what we currently do. From the day I signed my petition, until my initiation, almost 4 months had gone by. I will talk more about this next week, but while there are a number of steps to go through when signing a petition, sometimes I feel like they get pushed around a bit more than need be. I also feel like more education could be done during the initiation process that could help deter people that are in it for the goat sacrifices. So, what does the perfect Lodge look like as far as membership? I would say that T’s Lodge is actually pretty close to what I imagine a perfection would look like. His Lodge is actually so popular to join, that not only do they end up giving one degree or another each week, but they also have a waiting list to get in! What do they do that’s so different from my elderly Chapter? Not much. They have a number of young members, most of whom have been brought in by T. They are also very active, they have family dinners before every business meeting each month, they have a good time and go to the Shrine bar after every meeting, and they are active both in and out of the Masonic community. They just are a bunch of people who want to have a good time, and have no shortage of people that want to join in. I hope that someday, my Chapter can say the same. If I don’t take the initiative to help my Chapter out, our future looks bleak. What have you tried in your Chapter or Lodge that worked? What didn’t work at all? What do you think Masonry can do to help bring in new members? I’d love to hear your thoughts and ideas on this often heated topic. Next week I will be discussing what you should expect when you first sign your petition. Until then, have a great week! This week I am going to keep it short and sweet. On Wednesday, I received my book, packet, and first quiz for the Master Craftsman program. The Master Craftsman program is a mail correspondence course put on by the Southern Jurisdiction of the Scottish Rite. If you’ve ever wanted to learn more about what goes on in all of the degrees of the Scottish Rite, and get a lapel pin and nifty title after learning a ton, this is your chance. What’s different about this program? Anyone can take it. You don’t have to be a Mason, or even involved in Masonry in any way in order to take the course. That’s obviously my favorite part about the entire thing. It costs about $50 (with shipping), for that you get the massive Scottish Rite Ritual, Monitor & Guide, the first quiz, and a folder to keep all of your papers in. The idea is that all of the quizzes are open book and open note – I plan on doing it kind of as I go. There are six quizzes for the Master Craftsman I, which covers parts of the Scottish Rite Ritual, Montior & Guide, as well as the book A Bridge to Light, which is unfortunately not included in the initial cost (its an additional $25, though I believe there are also ebook versions). When you finish Part I, you can get Master Craftsman II, which goes back over everything touched on in Part I, and explores the rituals on a deeper level. There are nine quizzes for Part II. If you would like to just learn about the Blue Lodge (the first three, Entered Apprentice, Fellowcraft, and Master Mason) degrees, Master Craftsman III does not require the completion of Parts I and II (although you must complete Part I to get Part II). Part III consists of seven quizzes. After completion of Parts II and III, you will receive a nifty lapel pin, a certificate, and can demand everyone refers to you as Master Craftsman. Of course, as with any mail correspondence course, the completion rate is very low. I hope to have my Part I done in a year, I believe that the average is around three to five years. 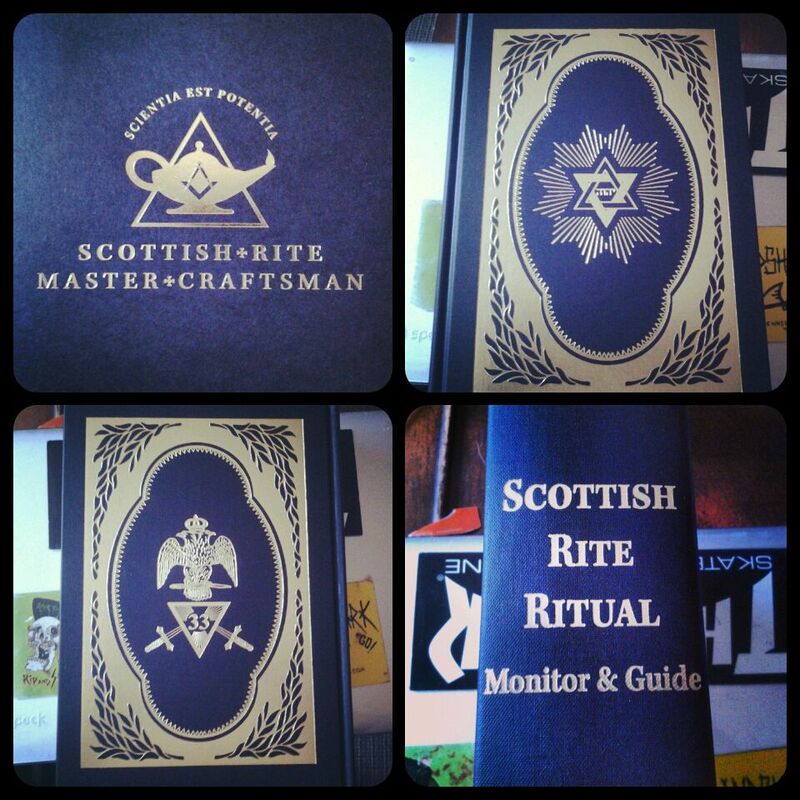 The Scottish Rite Ritual, Monitor & Guide is a bit intimidating, as it is over two inches thick (and looks more like five). If you think that doing this program would interest you, or someone you know, or if you want to help your local conspiracy theorist get their facts straight, I would highly recommend this program to anyone. As I said before, anyone can participate in this program, there are no restrictions on age, gender, or religious status. That being said, I would not recommend it to a new Mason who has not yet taken the Scottish Rite or Blue Lodge degrees. It is however, perfect for the Mason’s Lady. You can purchase the Master Craftsman program on the Scottish Rite website here. I will be updating my thoughts about the program every so often as I progress through it. I hope that many of you seek this out, and join me in this journey. As always, have a great week! One of the things we don’t talk a lot about here on the Mason’s Lady is current events. This tends to be that because of the nature of Freemasonry, there is little news to be had, except for Masonic events and activities that are happening in my own immediate Masonic community. However, every once in a while, Masons find there way onto national news websites and TV channels. Unfortunately, Masons tend to not be in the news for all of the wonderful things that they do every day. Recently in LA County, three members of a group calling themselves the “Masonic Fraternal Police Department” were arrested for impersonating police officers. Brandon Kiel, who is actually a member of the California Attorney General’s staff, was among the group. Their website is no longer available, however, on it, they claimed that they were created by the Knights Templar in 1100 BC, and that they are the oldest and most respected organization in the world, and that they have jurisdictions in over 33 states and Mexico. Sounds legit right? Other posts on their website included Masonic jewelry, and pictures of the officers in “Grandmaster” Henry’s police force. Not only are these guys not cops, they’re also not Masons, an issue glossed over by many of the news sites. It can get very confusing very quickly. Since there is no trademark on the square and compass or the like, anyone can call themselves Masons, and it can be difficult to tell if they are the real deal or not. 1. Do your research. 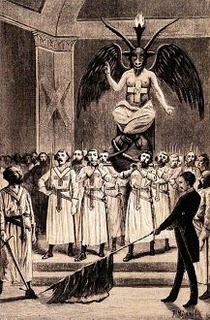 Quite simply, a legit Masonic community will hold up under scrutiny. Even the most technologically inept Lodges hold up under an internet magnifying glass. Make sure that the group you are looking into is mention in more than one place, and more than just on their own website. Often state jurisdictions will link to, or at the very least mention Lodges within their jurisdiction. 2. If it sounds silly, it just might be. I won’t lie. There’s some pretty extravagant legit Masonic titles out there. Sovereign Grand Inspector General is a thing. Illuminati Grandmaster? Not so much. If you’re unsure of a title, research it. If it mentions the Illuminati, its probably not real. 3. Go with your gut. If you feel like it might not be real, its probably not. Send an email or two, ask for references. If they come up short, its a bad sign. 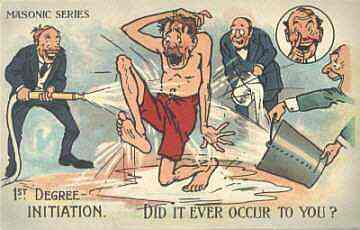 Ask about some of the finer questions that aren’t Masonic secrets, but aren’t common public knowledge. If it falls apart, stay away. The Masons don’t run a police force, or a fire department for that matter. While we may have our own security for circuses and the like, a Mason will never impersonate a member of the police force (although some cops are Masons!). Always look at any Masonic group you are unsure of with a keen eye. There are a lot of fakers out there. If you are ever unsure, you can always contact your Grand Lodge, and see what they have to say. If they’ve never heard of the group stay away. Often these groups are scams that exist only to take your money and give you a fancy title. They will never give you the brotherhood and satisfaction that you can get from legit Freemasonry. Unfortunately, scheduling conflicts and illness did not allow me to attend Nebraksa’s Annual Communication (aka Grand Lodge). Luckily for me, however, the installation of Grand Lodge officers did not occur at Grand Lodge, and will not be until next weekend. The incoming Grand Master is a dear friend, and someone who helps promote The Mason’s Lady, and I hope to be there to show my support for him. That being said, I am going ahead with the planned programming for this week, traveling as a Mason’s lady. How is it different from any other trip? In short, it’s not, except for a few differences. If you attend Grand Lodge, or another closed/invite only Masonic event, you may not have a great deal of time to spend with your significant other if they are not also a Mason. Often, the larger events will have programs for the ladies, this can be anything from luncheons and free time, to group shopping and other outings. These programs usually occur during the times that Lodge is held at the event, for any reason (although usually it is for voting or similar purposes). Often, the ladies will have a great deal more free time then the Masons do, so prepare accordingly. There may also be required panels or meetings that you need to attend, or the freedom to pick from a few, or even have free time. It all depends on how the event is set up. Is there anything special that I need to bring? There are a number of items that you may not think to bring with you on a Masonic trip, that can be extremely helpful. Business or Contact Cards- You will be meeting a lot of people. Chances are, you won’t remember all of them, even if you agree to do the middle chamber lecture for them next month. Having business or contact cards on you at all times is not only very convenient, but it gives others the impression that you are prepared and think ahead. Even if you do not work for a business that offers you cards, there are a number of companies online, such as vistaprint, where you can create your own. Add any information that you feel is necessary, just be wary of adding your Lodge or any Masonic emblems if you will be using them for any other purpose. Membership/Dues Cards- At large events where you don’t know everyone, during closed sessions (such as Lodge that is held during Grand Lodge), dues cards will be required at the door for entry. Be sure that you have yours, and they they are up to date, and in good condition. If you need new ones, contact your Lodge or Chapter secretary. You may want to consider getting a special billfold or business card holder (such as these) to keep your cards safe and sound. Garment Bags- This is something you will want before you head out for your trip. Being a Mason or a Mason’s Lady requires an investment in nice clothes, and you want to protect that investment. Packing your clothes in the proper luggage will help keep them looking their best. There are a number of types of garment bags out there, including ones that match your exisiting luggage. You can find Masonic luggage here. Your own iron- Again, with keeping your nice clothes nice. Yes, your hotel probably has an iron and ironing board in your room. However, it will probably be different than the one that you have at home, and you will probably be more comfortable with yours from home. In addition to this, the settings on irons can often vary widely, and if you know that your iron works, it is probably better than taking a chance on a burned shirt. That scotch you’ve been saving for a special occasion- It’s no secret that Masons and booze go together like peanut butter and jelly. Most often, after the day’s work is done, the drinking and fun begins. Many Grand Lodges have a hospitality suite that has snacks, and may or may not have a bar. At other events, private parties in rooms are encouraged. Long Masonic events are a great time to meet new people, and new scotches. Be sure to make sure that alcohol is allowed at your event, however, and as always, be responsible. A good book- There can be a lot of downtime during Masonic events. You might not be interested in any of the panels and decide to catch up on some rest, or there may be a two hour lunch break so that everyone can set up for the closed Lodge meeting. Bringing a book, games, or a laptop is strongly encouraged at longer Masonic events. Although I was not able to attend Grand Lodge this year, it does mark the official one year anniversary of the Mason’s Lady. I feel that I have grown greatly as a person, and as a member of Masonic organizations, simply through the time and research that The Mason’s Lady requires. It can be a bit overwhelming at times, but I would not trade it for anything. Have a great week! With Thanksgiving fast approaching, as well as all of the other wonderful celebratory meals that tend to come with this time of year, I thought it best to go over some basic dining etiquette. Like many things, this does not seem to be related to Masonry on the surface, but the more you think about it, the more you realize you need these skills to survive in Freemasonry. From Lodge dinners to Grand Lodge Banquets, everyone needs to have a general idea of the basics. No one is asking you to be Emily Post, but it is important that you do try. Let’s be honest. Masonry, in many ways, tends to be stuck in the early to mid 1900’s. As I’ve said before, this does not need to be a bad thing. It does mean, however, that often we find ourselves doing things that most everyday people do not do- wearing tuxes and attending formal dinners, for instance. This can be confusing, and overwhelming at first, especially for those of us who have never experienced something like this before. If you need help with your tux, check this out. If you are not so sure which fork is for your salad, keep reading. It isn’t really too different from home except for the extra silverware. You want to go outside in with your silverware, so the most outside fork is used for the first course, the inner for the next, etc. Usually at most Masonic meals, they do not serve alcohol with the meal, but instead at the cocktail hour before. You may bring your drink in with you if you are not quite done. The wine glass is typically used instead for iced tea. Again, you want to work outside in, and after your entree, you move to the utensils above your plate. 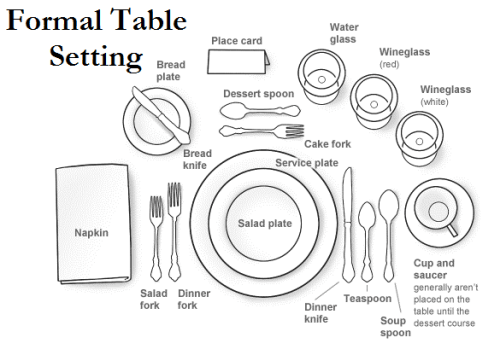 You may see a table setting similar to this at say, the formal meal at your Grand Lodge. You may also see some combination of the two settings. As someone involved with Masonry, there will come a time where you find yourself at a formal meal. It is important to take the time now to familiarize yourself with the settings now, so that panic does not set in when you get there. I’m not saying memorize the entire thing, but it would be a good idea to have a general idea of what is where. Remember what mom used to tell you at the dinner table as far as manners are concerned? The same applies here. Hate to get a little old school on you, but really, proper manners at dinner can get you far- who knows when you will be sitting with the Grand Master of your state, or the national secretary for Scottish Rite? You want to be able to impress, or at least, not disgust the person across the table from you. Much like the Kindergarten Creed, you already know most of this stuff. Chew with your mouth closed. 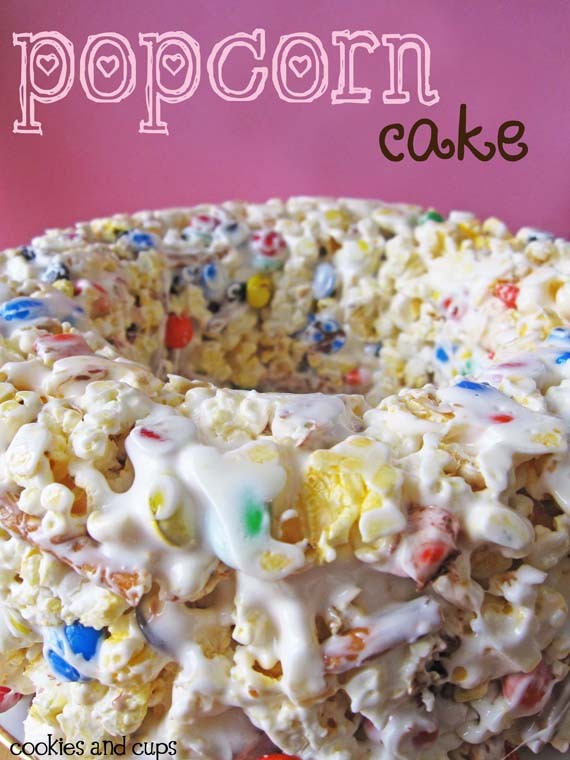 From Emily Post to Pintrest, this is absolutely top of everyone’s list. Please follow through. No one wants to see that. Bring your food to your face, and not the other way around. Even if you did grow up with seven brothers, a nice dinner is not the time to be leaning over your plate, shoveling food into your face. Silence and put away your cell phone. I’m guilty of it too. Not browsing the internet while eating can be boring, but the idea of a formal dinner is for you to meet and converse with those around you, so remove all distractions. Say ‘please’, ‘thank you’ and ‘excuse me’ often. Even if you don’t think you need to. Mom wasn’t kidding when she said these words were magic. Remember your napkin. Seriously, I am always suprised at the number of grown men that forget this magical bit of fabric exists. It keeps your clothes from getting dirty, as well as your face. If you are a young or new Mason, these are very simple ideals to follow. 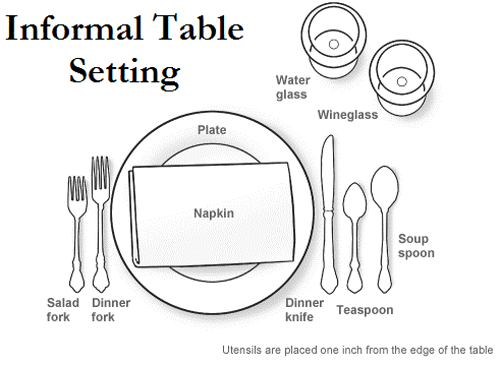 You would be amazed at how easily proper table manners can help garner respect and foundation, one of the often untalked about pillars of a sucessful Mason.